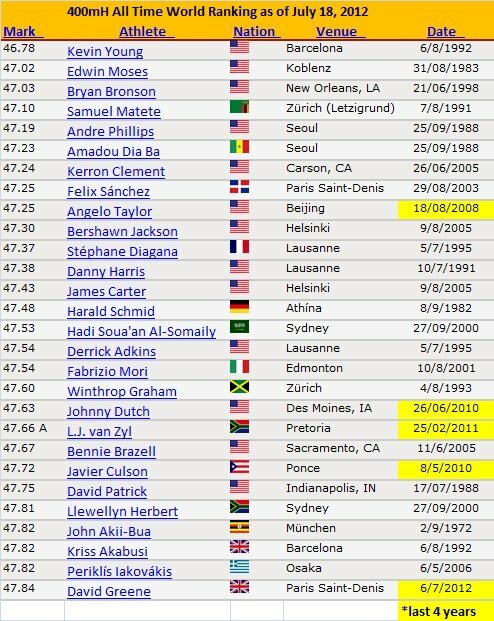 The 400m Hurdles is a race that seems to be looking for a new forerunner creating a renaissance for getting into the low 47’s. Is this a question of talent identification or lack of interest in the long hurdles by talented 400m athletes? Do coaches of potential long hurdle talent have access to pertinent information on long hurdle racing tactics and the training methods “specific” to implement proper Race Plans? In an attempt to answer these questions, a search of the training and racing principles for the long hurdles brought up 35 quality sources; with only one book among them (written in 1982). Of the 35 sources, 20 were written and published prior to 2000. These questions, and many others concerning the long hurdles race, provided the motivation for publishing THE ART OF LONG HURDLING: A Guide to Racing and Training for 400m Hurdles. The book is a product of twenty-seven years of partnering with athletes to attain success at the long hurdles and a collection of all the printed information specifically aimed at producing the best possible results for all the various physical types of long hurdlers. 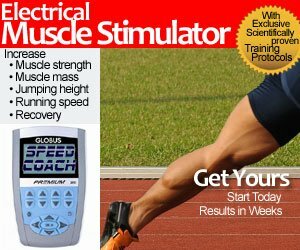 If you run or coach the 300mH or 400mH, this book is HIGHLY RECOMMENDED. 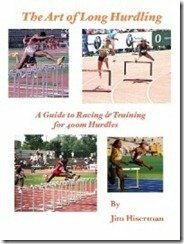 >> To purchase this book, or for more information, see THE ART OF LONG HURDLING: A Guide to Racing and Training for 400m Hurdles. @Christian, oh yes, Jim will reply to emails, as well as comments posted on this page. So maybe you can post them here? Hi I want to focus on the 400m hurdles and I’m kind of slow a guy with 62 second pr and am finishing my senior year. I would like to get a 55 by next year but would this book help me get there?